In honor of World Autism Month, IndieGo Publishing is proud to announce the release of "Daisy Has Autism," by Aaron J. Wright, a work of creative nonfiction that serves as an act of public participation and a call to action. "Daisy Has Autism" is the story of one family’s harrowing experience with public special education and their struggles to educate their daughter according to her unique needs. 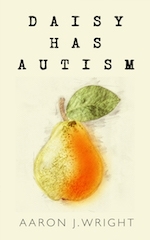 Oakland, CA, April 08, 2019 --(PR.com)-- IndieGo Publishing is proud to announce the release of "Daisy Has Autism," by Aaron J. Wright, a work of creative nonfiction that serves as an act of public participation and a call to action. Aaron J. Wright is the product of a public education and a member of a family deeply entrenched in public education. He is a nurse practitioner and the parent of two children, one with autism. Professionally, he has worked with severely injured adults and children for nearly two decades. Outside of work, he has been a staunch advocate for disabled students in public education and youth sports. He firmly believes in the benefits of a public education and access. In honor of World Autism Month, Aaron J. Wright will speak about autism, educating special needs children, and his book "Daisy Has Autism" on April 11, 2019, at The GoodHome Group in Davis, California, from 6:30 to 8:00 p.m. The GoodHome Group is located at 334 Madson Place, Davis, California, 95618. Paperback copies of "Daisy Has Autism" will be available for purchase, and refreshments will be served. "Daisy Has Autism" is available as a paperback (9781946824356), a hardcover edition (9781946824318), and an ebook (9781946824363) wherever good books are sold. Bulk purchases are available at a wholesale discount through the iPage ordering system of Ingram Book Group.